I've done a lot of theater, and I know that it's a different audience each time who doesn't know the story, and we have to tell it. Courtney B. Vance is a married man. He met Angela Bassett, in 1980 and they got married in 1997. Together, they have twins, son Slater Josiah Vance and daughter Bronwyn Golden Vance. 1 Who is Courtney B. Vance? Who is Courtney B. Vance? Courtney is an American actor. He is well known for his roles in the feature films Hamburger Hill and The Hunt for Red October, the television series Law & Order: Criminal Intent, in which he was featured as Assistant District Attorney Ron Carver and as well as The People v. O. J. in Simpson: American Crime Story, in which he played the role of Johnnie Cochran. 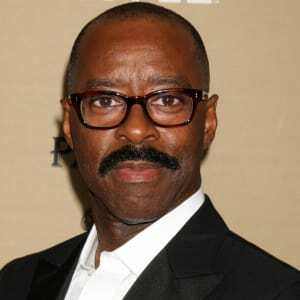 Courtney B. Vance was born in Detroit, Michigan, the United States on March 12, 1960, age (59). He is the son of Conroy Vance (father) and Leslie Vance (mother). He father was a grocery store manager and benefits administrator and his mother was a librarian. Additionally, while attending Harvard, Vance was already working as an actor at the Boston Shakespeare Company. He has a sibling namely, Cecilie Vance. Whereas, he belongs to American nationality and mixed (African-American) ethnicity. His birth sign is Pisces. On talking about his education, he attended Detroit Country Day School and later graduated from Harvard University with a bachelor of arts degree. Then he also earned a Master of Fine Arts degree later at Yale School of Drama. On talking about his profession, his early feature film credits include Hamburger Hill, The Hunt for Red October, The Last Supper, Dangerous Minds, and The Adventures of Huck Finn. Recently, he also appeared in Robert Altman’s Cookie’s Fortune, Penny Marshall’s The Preacher’s Wife, and in Clint Eastwood’s Space Cowboys. Additionally, he also starred in Love and Action in Chicago, a romantic comedy which he also co-produced. In addition, he also played Black Panther Bobby Seale in the Melvin and Mario Van Peebles docudrama Panther. During 2008 and 2009, he guest starred in the final season of ER. He was also in Hurricane Season. Whereas, he also appeared in a Disney Channel Original Movie titled Let It Shine, where he played the Pastor Jacob Debarge, the main character’s father. Likewise, he also worked along with Tyler James Williams, Trevor Jackson, Coco Jones, Brandon Mychal Smith, and Dawnn Lewis. It was the third time he portrayed a pastor in a motion picture (the first being The Preacher’s Wife and the second being Joyful Noise). Moreover, he has also provided the voiceover for the National Football League’s “You Want the NFL, Go to the NFL” television spots. Besides that, he also appeared as Chief Tommy Delk on the TNT series, The Closer from 2010 to 2011 (Season 6–7). Likewise, he also played the role of Attorney Benjamin Brooks on four episodes of ABC’s Revenge. During 2015, he also portrayed Miles Dyson in Terminator Genisys. He has earned three Tony Award nominations. Additionally, he was nominated for Tony Award for Best Actor in a Play for his performance as Paul in John Guare’s Six Degrees of Separation at the 45th Tony Awards (1991). Whereas, he won Tony Award for Best Featured Actor in a Play for his performance as Hap Hairston in Nora Ephron’s Lucky Guy at the 67th Tony Awards (2013). In addition, he won a Clarence Derwent Award for his role as Cory Maxson in Fences. There is no information regarding his income, salary. Whereas, his net worth is estimated to be around $ 4 million according to the sources. On talking about his body measurements, Courtney has a height of 5 feet 8 inches. Additionally, he weighs is 76Kg. In addition, his chest, waist, and biceps sizes are 38- 34- 14 inches. Furthermore, his eye color is brown and his hair color is black. He has around 28.2K followers on Instagram, about 28K followers on Twitter and around 12.9K followers on Facebook.